The event was very well attend — thank you to all who came out and especially to those who stepped in at the last minute to ensure the event went ahead smoothly when organiser James Gower fell ill the evening before. Soon after a few words about the gyratory, and the ride will be said. At 6:10pm we will hold a two minute silence for Deep Lee, killed on the gyratory in 2011. There will be a floral tribute, so this can be laid during this time. 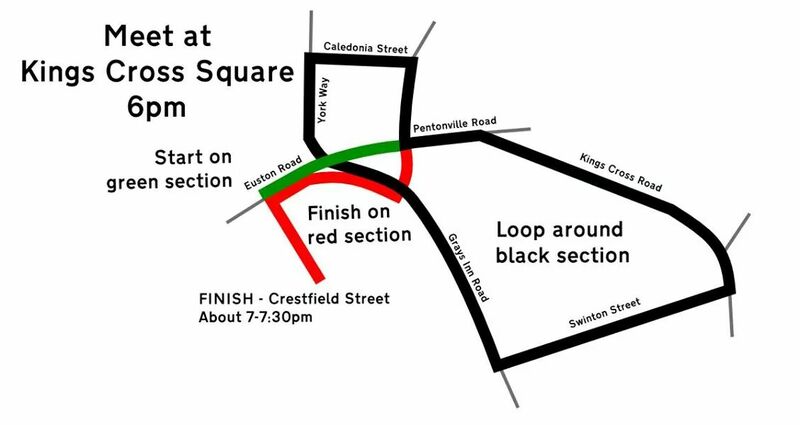 Straight after we will head out onto the gyratory; ride on this route until about 7pm or 7:30pm. Thank you for the backing behind this. It is my first time organising anything like this, so here is hoping everything goes to plan! 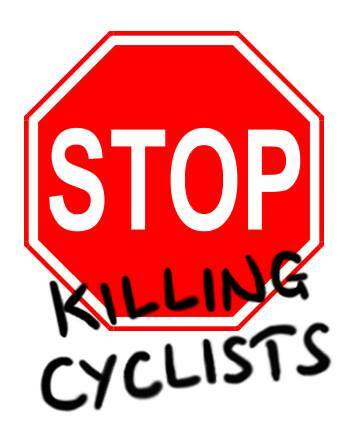 James Gower, who is a member of Stop Killing Cyclists, is organising a Flashride Protest on Tuesday at Kings Cross. The protest is because despite numerous submissions to the TfL proposals to re-configure the junction, it no-way approaches Go Dutch standards. Almost ZERO suggestions from cyclists were taken on board. For example, there are NO protected Left-Hand-Turns and despite FIVE lanes for traffic on Grays Inn Road, NO segregated space has been allocated to cycling. The Mayor promised Go Dutch and TfL Planners are failing to implement the promise. A number of the Stop Killing Cyclists team are attending. You might think of printing off our Poster for placards? James btw is a young student who drew up the great graphics for our Elephant submission to TfL and also has done some excellent proposals for Kings Cross. We want people like him in charge of road-designs! TfL admitted when we met them that they had old school – “car is king” – planners who were not up to speed with Go Dutch standards but said they were waiting for them to retire….. !!!! We wanted them trained to Go Dutch Standards and to deliver Go Dutch Standards or be fired. How many more rubbish designs will these guys leave behind as a lethal legacy before they retire?! !